An industry-leading platform: Qualcomm® Snapdragon™ 410 processor with 1.2 GHz quad-core CPU enables fast access to businesscritical applications. 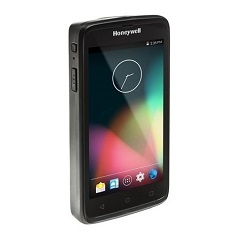 Large, 12.7 cm (5 in) Corning Gorilla® capacitive touchscreen is readable both indoors and outdoors, and works when used with wet hands. portability. Small enough to fit conveniently into a pocket. ScanPal EDA50 devices can be easily connected to multiple devices, enabling support for more use cases and applications.